You have a message. You have an audience. 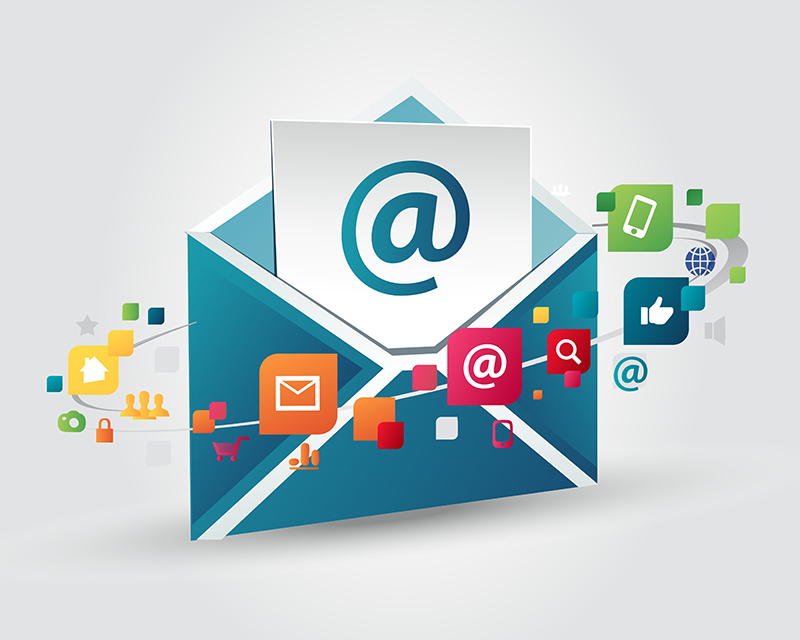 With email marketing, you can make sure you spread the message, stay in touch with your customers, and also engage them in an easy manner - thus building strong customer relationships. Email Marketing is an effortless, but measurable method to reach out to your customers and engage them. Create and Customize your Email Newsletters. Send out highly targeted campaigns that reach their mark. Track campaigns and re-adjust your next sends based on detailed reports. essage as effectively as possible. Creating highly targeted messages with our service is as easy as “drag and drop.” Our email marketing tools will help you create advanced split-test scenarios, identify and track your most loyal subscribers, and use behavioral data to deliver relevant personalized email messaging. Manage all of your email marketing programs—promotional, triggered and transactional—in one integrated software platform. Our campaign calendar, templates and wizards make it easy to create, implement and optimize your entire lifecycle messaging program from welcome to win-back. Make sure your emails get to the inbox. We offers in-app software tools to use on your own and a dedicated Deliverability Management Services team. Our experts monitor delivery metrics, identify issues, engage with ISPs on your behalf, and provide recommendations for improved deliverability. Optimize email marketing program performance and demonstrate success with reporting tools and detailed analytics. We uses Message Asset Tagging to enable reporting and analytics on every deployed asset, including content, promotional offers and creative. Determine what drives engagement and what’s getting ignored. Leave your question or requirement here. We will get back to you in detail to ensure you achieve the best results. We are an online marketing agency focused on creative and results-driven solutions.